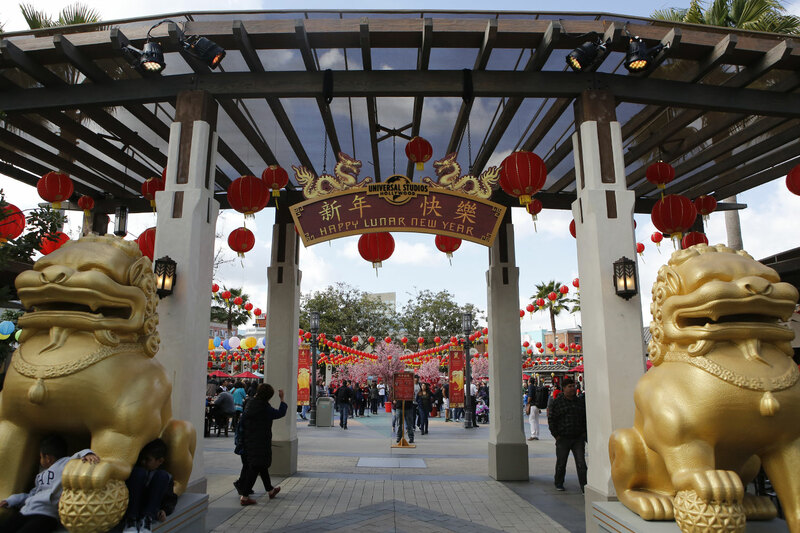 Lunar New Year, celebrated by several Asian communities for centuries, has only recently begun gaining prominence in US theme parks, more notably in Southern California. What started as small decor acknowledging the holiday, has grown each year into celebrations that last over a week at parks such as Disney California Adventure, Sea World, and Universal Studios Hollywood. 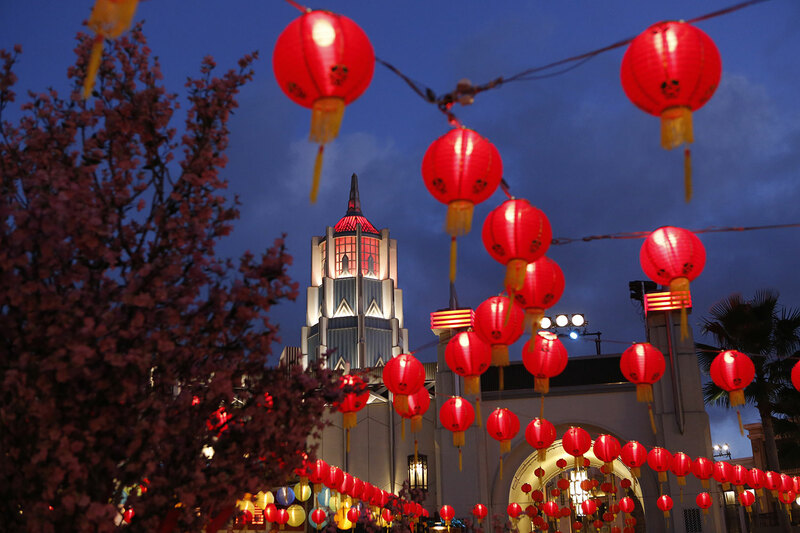 This year, Lunar New Year falls on February 16th, and Universal Studios Hollywood has expanded their event even further, all while staying within the boundaries of Universal Plaza, the courtyard within the Los Angeles theme park. This year is the Year of the Dog, but you won’t find Secret Life of Pets anywhere in the plaza. 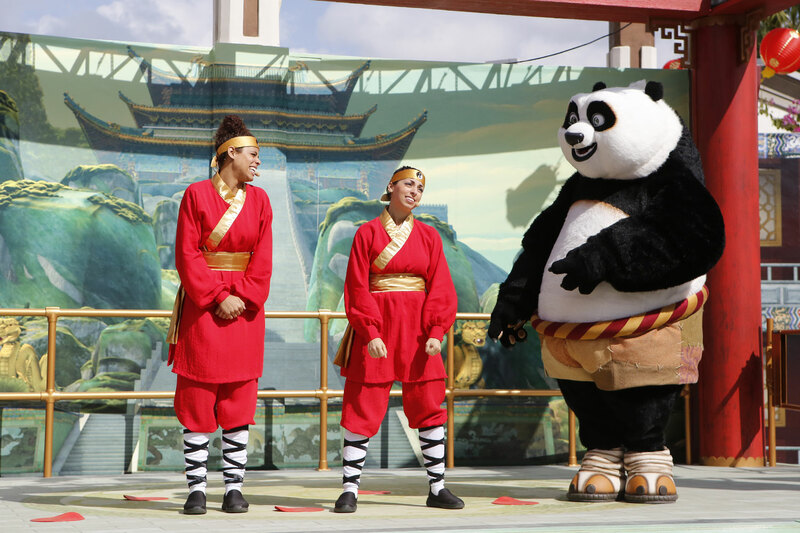 Instead, the newly acquired Dreamworks Animation has lend Kung Fu Panda to be the star vehicle of Lunar New Year, with several new activities. 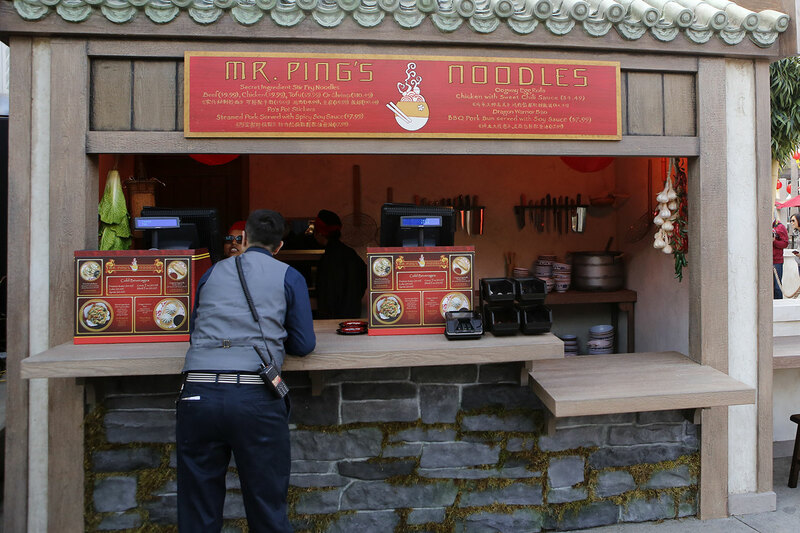 The most impressive feature is Mr. Ping’s Noodle Shop. 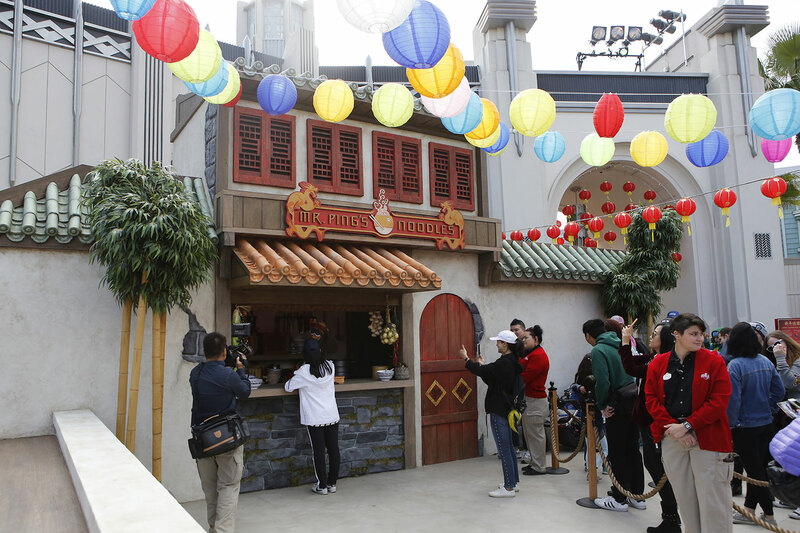 You’ve seen attractions exit into gift shops, well, what if an attraction led you into a food stand? That’s precisely the idea behind this interactive new experience and it is IMPRESSIVE. 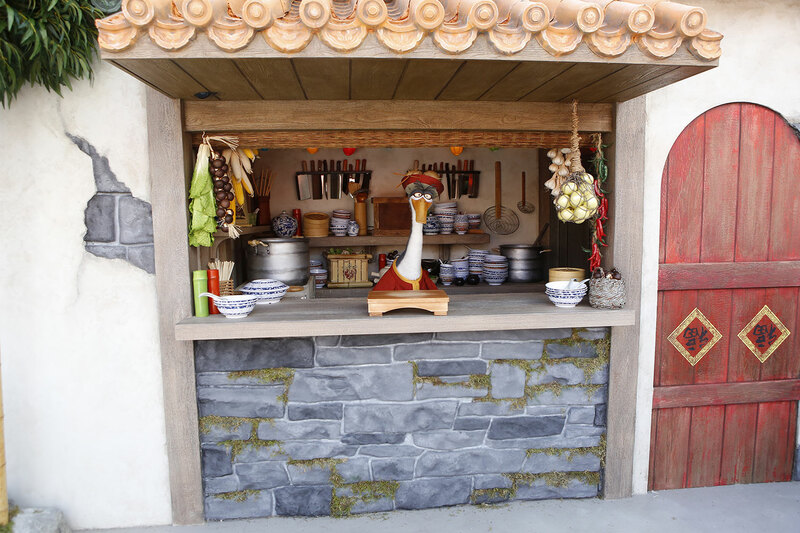 An entire building was constructed up to code to feature a meet & greet with Mr. Ping, the plucky goose that is father to Po, the Kung Fu Panda; and also a store front selling stir fry noodles, dumplings, and bao. The interactive meet with Mr. Ping is truly special. 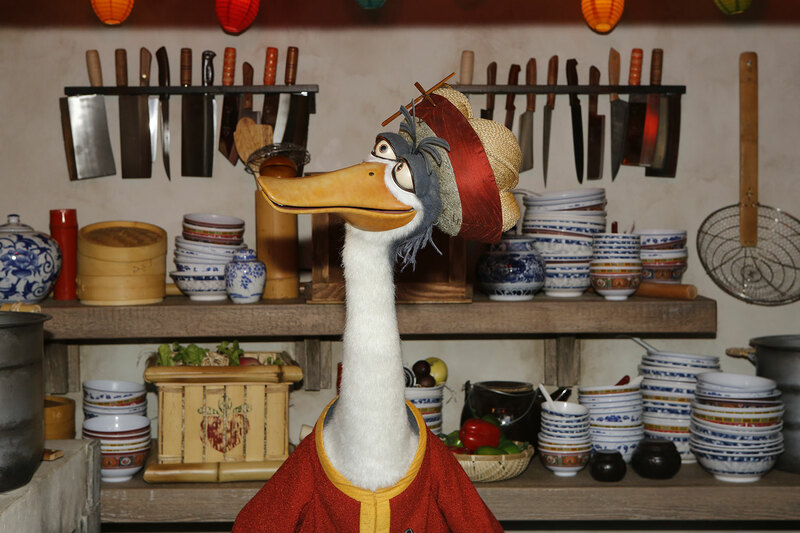 Originally voiced by the inimatable James Hong, Universal has managed to find some great talent to fill in for the owner of this noodle shop. A joint collaboration between Dreamworks and Jim Henson Creature Shop, the Mr. Ping is a joy to experience. 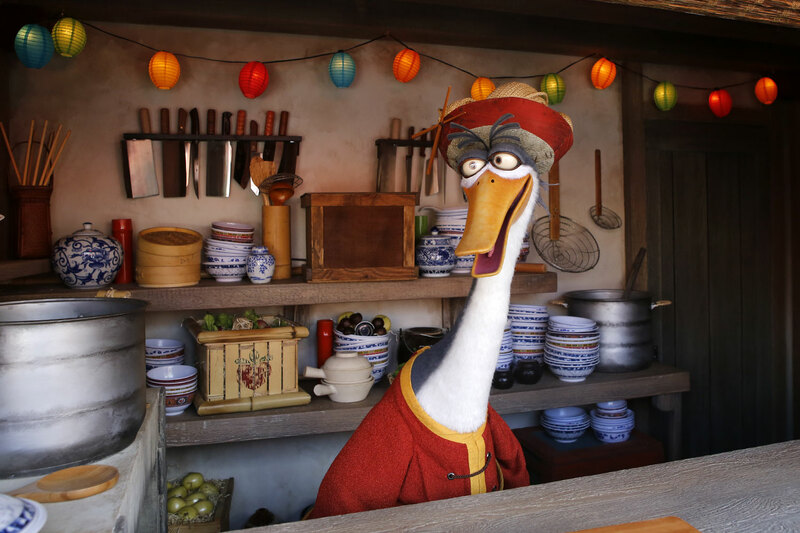 Mr. Ping greets guests from 10:00 a.m. through about 5:30 p.m. roughly, and he’ll always suggest that you go next door to buy some noodles. Now, in the film, the noodles are soup noodles while the shop here only sells stir-fried noodles with your choice of meat. 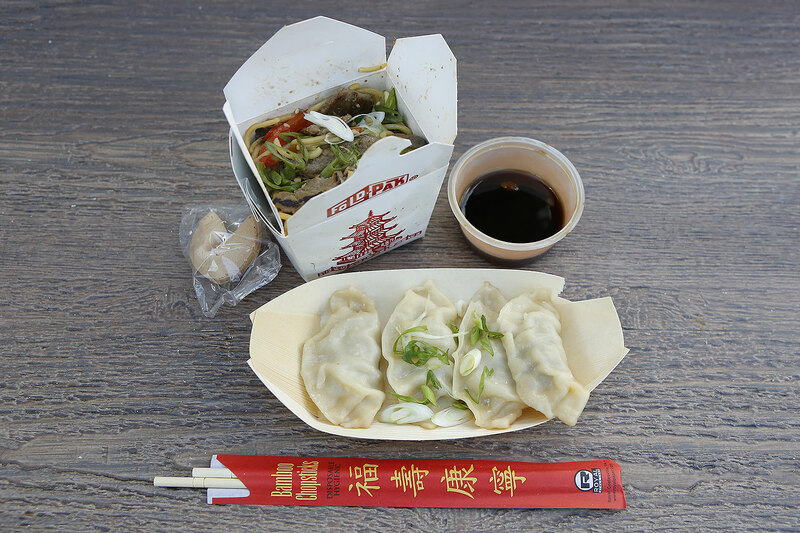 Add on egg rolls, steamed buns, and pot stickers if you like, but it adds unto be quite a pricey meal for not that much. The food is…. okay. Even though there’s a kitchen right behind preparing everything, it tastes like it was mass produced. If you want some truly authentic noodles, I recommend venturing off into CityWalk and visit Dongpo Kitchen instead. Their noodles are excellent. 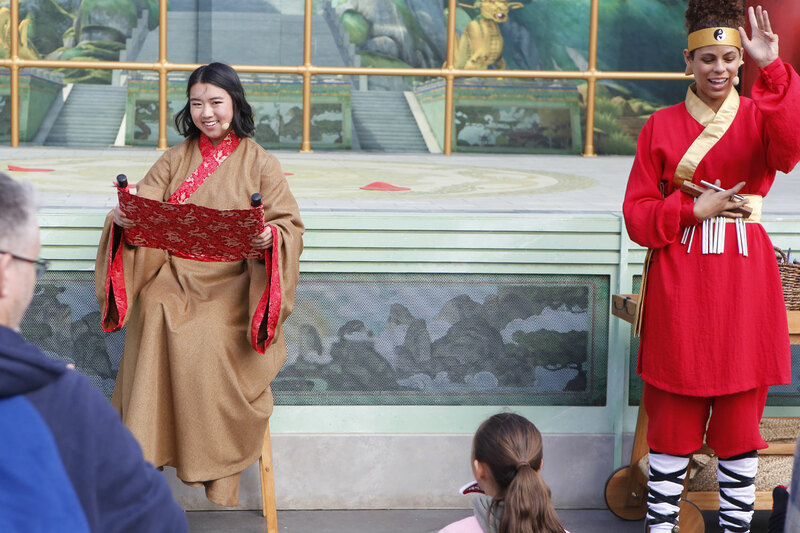 Elsewhere in the plaza, you can experience the Tale of Lunar New Year, where a speaker comes out to share the story of Lunar New Year, and not long after that, kids can experience the Dragon Warriors Kung Fu Training Show at the Jade Palace, which is similar to Disneyland’s Jedi Training Academy. 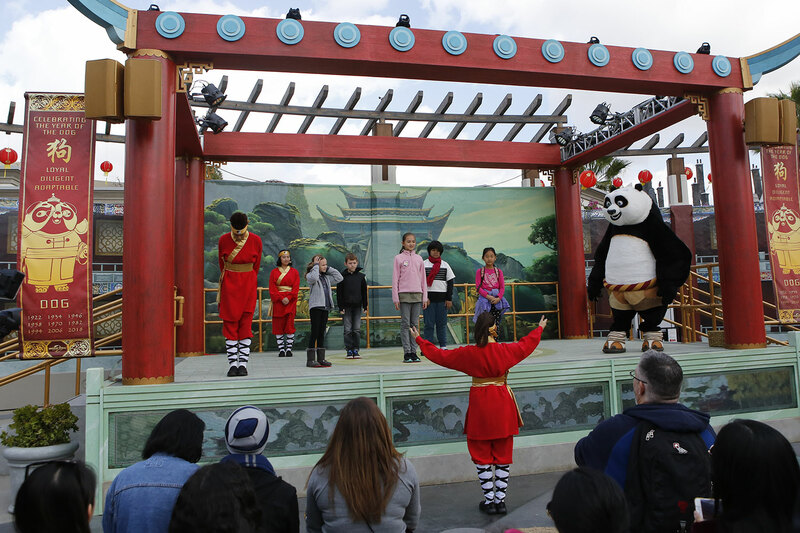 During the times where there isn’t a show, everyone is invited to take photos with Tigress and Po. 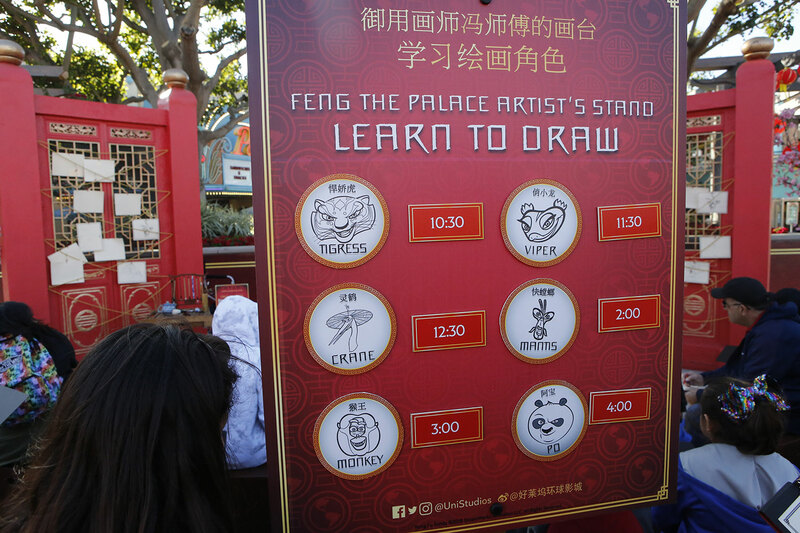 Rounding out the Kung Fu Panda fun is a Learn To Draw experience where artists of all ages can learn how to draw a different member of the Furious Five. One more thing to mention. 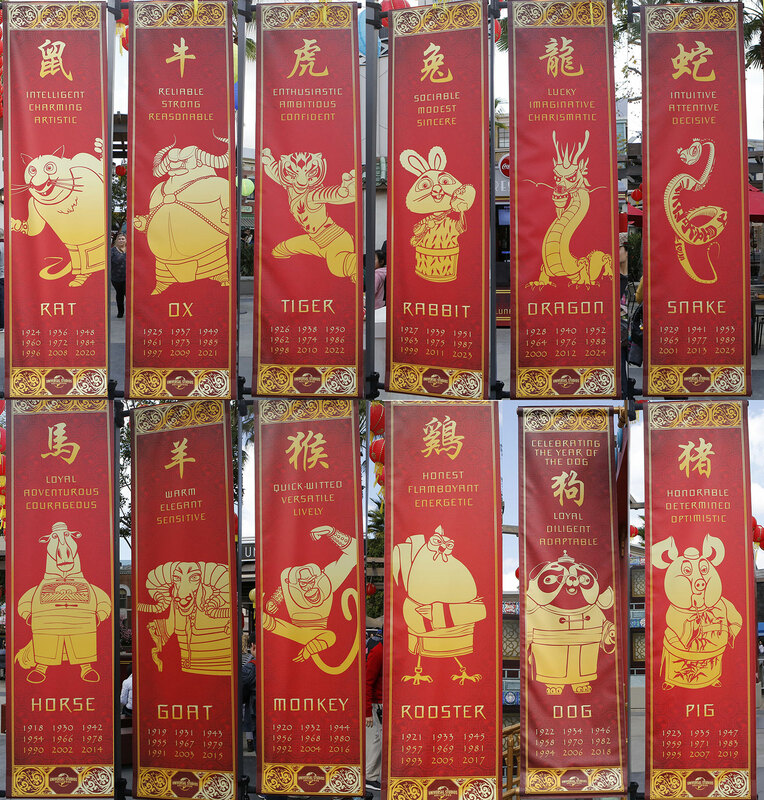 All the banners of the representing the twelve animals around the plaza have been completely redone to feature characters seen in the Kung Fu Panda movies. 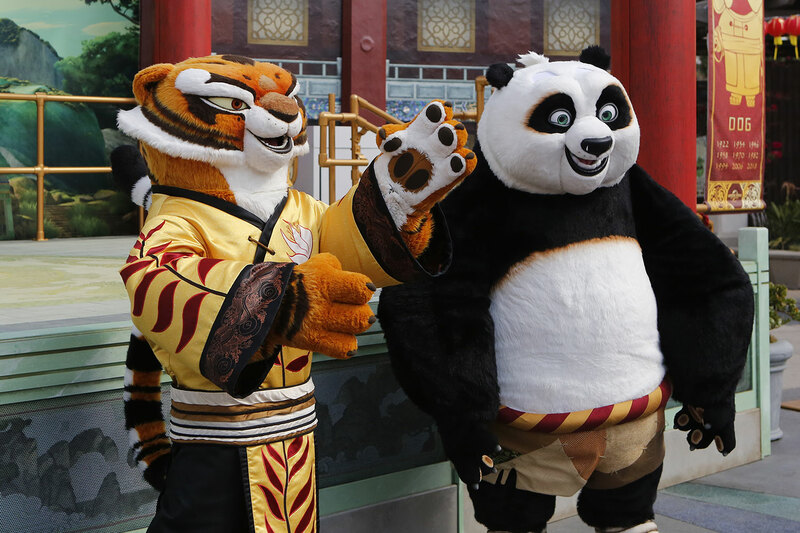 Some are prominent characters like Monkey and Tigress, but many are simply background characters representing that animal. It’s a fun thing that I noticed that makes these banners a little more unique. 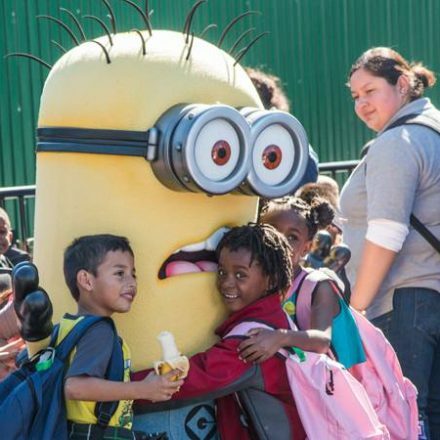 MINIONS! 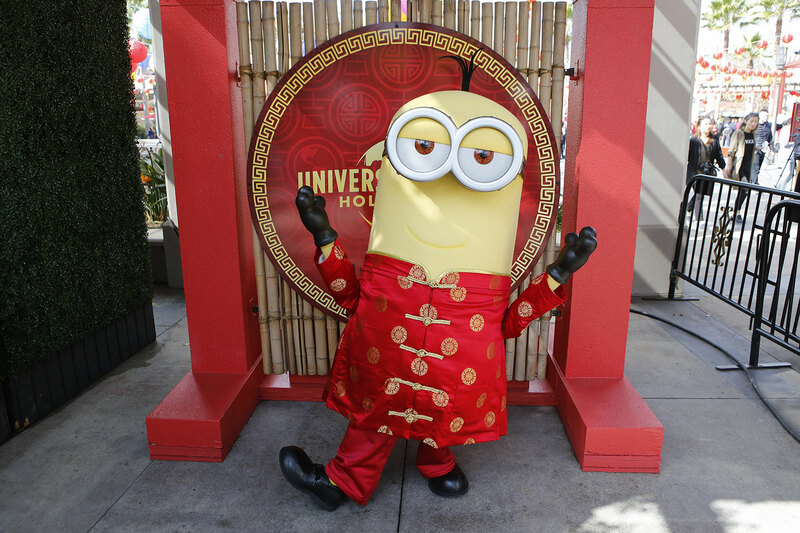 Everyone loves Minions from Illumination Entertainment and new for this year, they’ll be hanging around in traditional Chinese New Year attire. Sure to be a crowd pleaser. 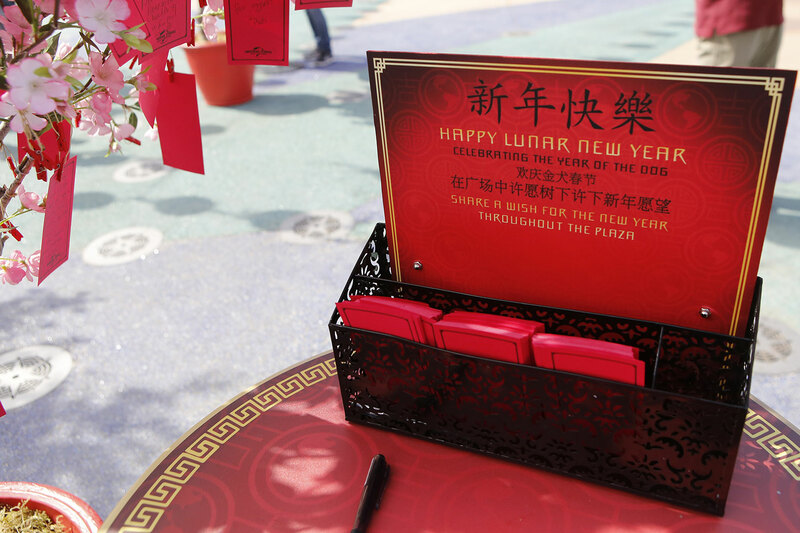 Two things carried over from previous Lunar New Year festivities, one being the Wishing Tree, where you can write down your wish for the new year and hang it up. On the opposite side of that spectrum is the Mandarin Speaking Megatron, whose Chinese has massively improved over the years since the feature has begun. Even though many don’t understand him, they’ll line up for a photo regardless. 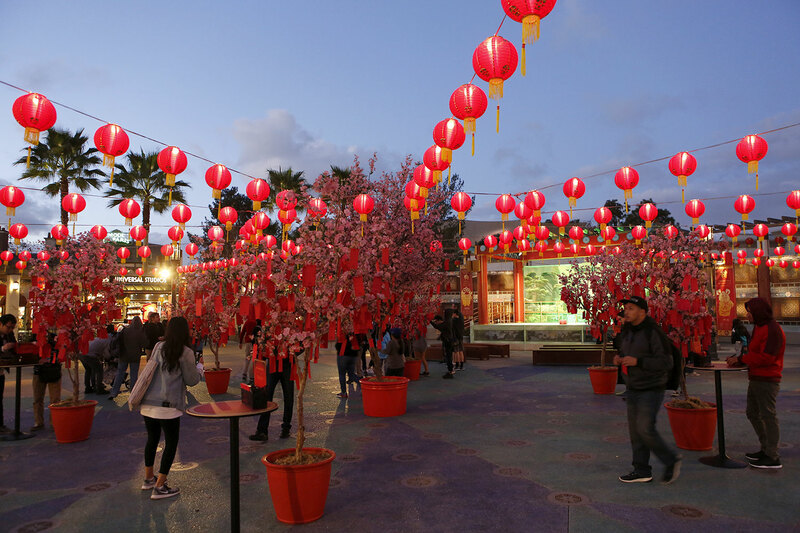 Lunar New Year at Universal Studios Hollywood has really become a fun and unique tradition at the parks and certainly worth checking out. 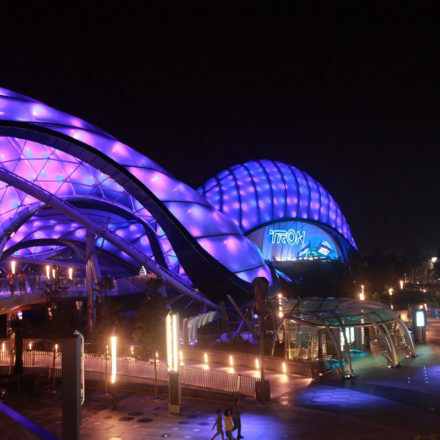 It’s especially worth it for the Annual Passholders, so it might be a good idea to get one. 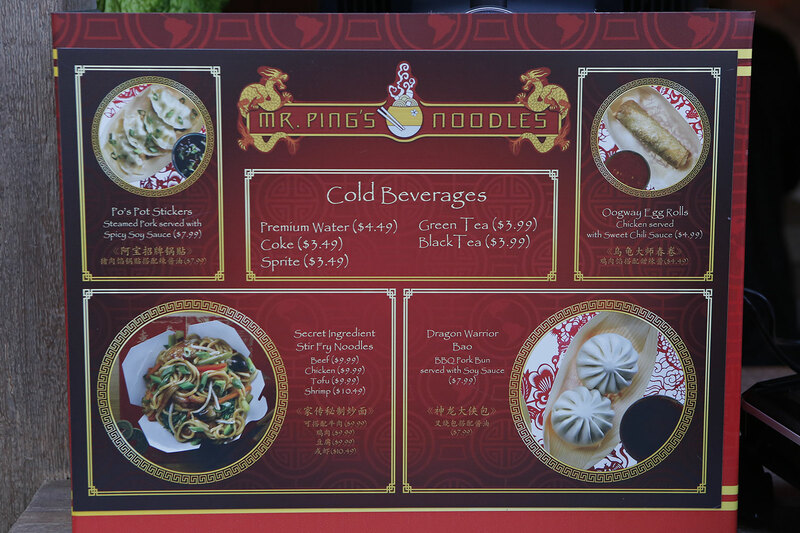 Most impressive again is the Mr. Ping Noodle Shop. Universal really did a fantastic job with that interactive attraction, and the building IS made to be temporary, but could stick around longer if popular. So, get going! 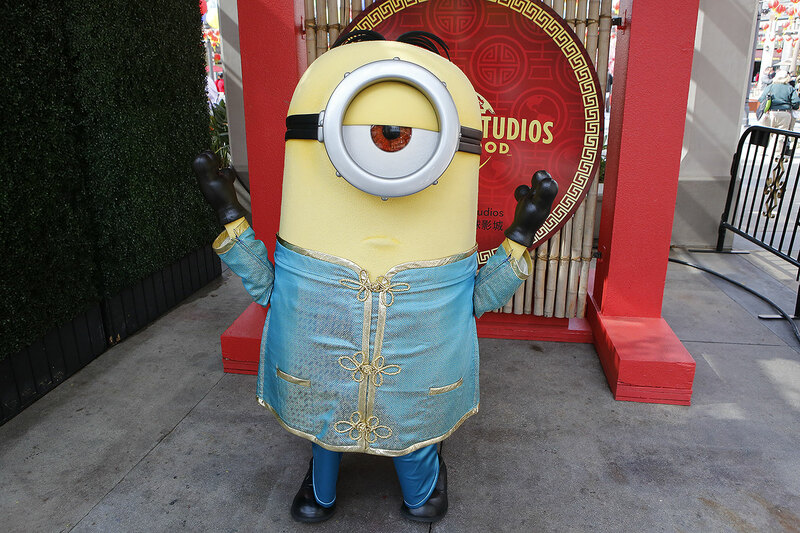 Lunar New Year at Universal Studios Hollywood is available now until February 25th. 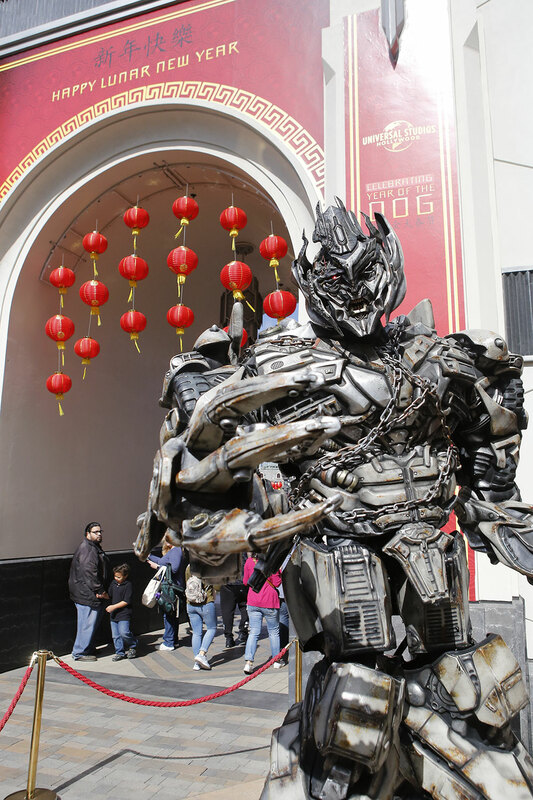 Visit Universal Studios Hollywood for more information and tickets!